IPS teaches you how to operate your camera, how to pose people, helps you find your niche in the world of photography, and how to start and run a photography business. IPS is a complete package. Last month I attended the Portraiture and Lighting workshop (if you haven’t taken it, take it!). A good portion of the class is devoted to learning how to use your flash in a studio setting and outside on location. I really loved that part of the class. It is where I discovered my passion and what I want to focus on in my photography. My plan is to specialize in children’s portraiture, sports team photography, and action sports photography. Currently I’m working on figuring out the logistics and business aspects of the latter two, so that I can start working with sports leagues to provide them with quality portraits that parents will be proud to display. Interested in being featured here on the IPS blog? We want to feature you! Here’s our Weekly Gallery of student work. These images were all turned in as part of student assignments due this week. 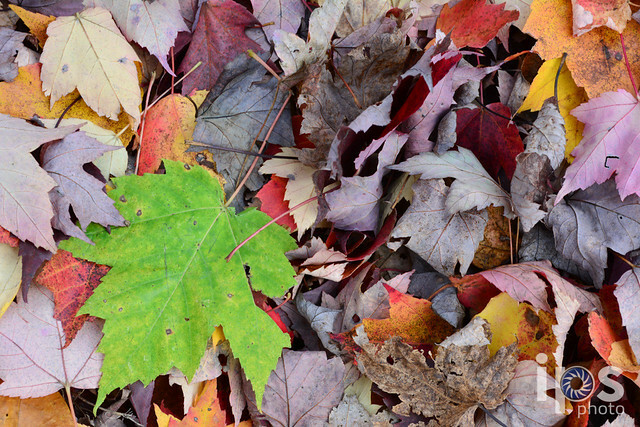 I really like color contrast in this image that draws you clearly to the one green leaf in the pile of fall colors. The rule of thirds is also well used to place the leaf in a place of strength. I chose thise picture because it’s a fantastic use of the camera’s pop-up flash. To be honest, I don’t see it used well very often, but in this case it has filled in what would be very dark shadows on the side of the mug. 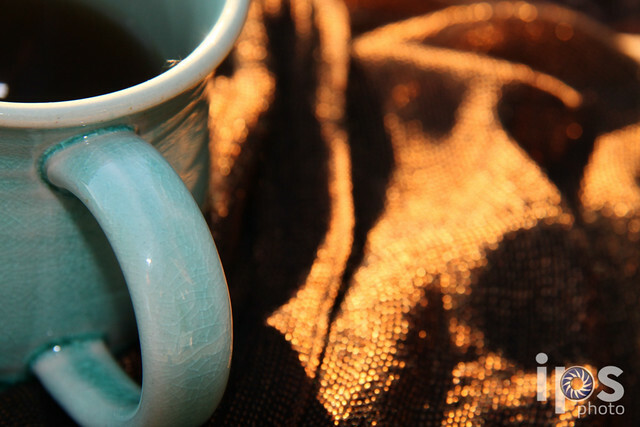 Because of the flash we clearly see the detail and color of the mug balanced with the warm sunlight coming in from the background. Great job! This is another great shot. 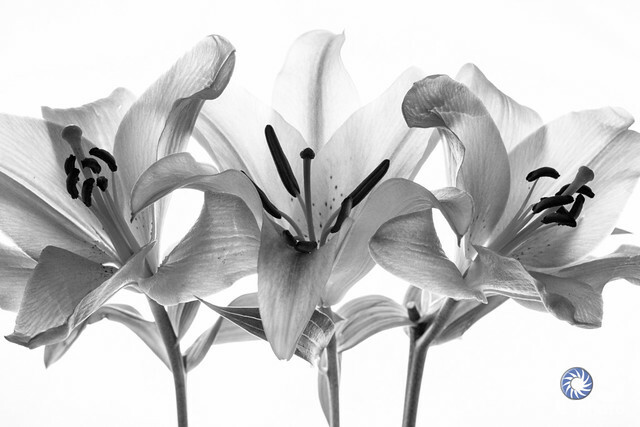 To create this image, Amanda used an off-camera speedlight with a softbox on it to create an intense backlight. Way to go! To learn more about our online classes, click on the Learn menu above. Two weeks ago I was in Vienna, Austria, exploring Saint Stephen’s Cathedral in the heart of the city. Being inside a European cathedral is one of my favorite experiences in the world. Walking through an ancient doorway into darkness pierced through by beams of radiant light is an awe inducing journey that everyone should have the opportunity to undertake at least once. Here’s my first shot, using the normal exposure settings. 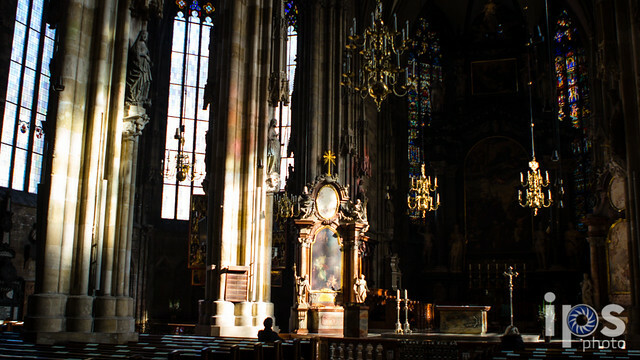 As you can see, the camera has picked up detail behind the altar, but has sacrificed the beauty of the areas where the light is actually falling. In my adjusted exposure, I now have great detail in the illuminated areas and my shadow areas are much darker. This exposure preserves the drama of the scene and captures the essence of the light falling on columns. The walls and ceiling of a cathedral are filled with intricate detail that demands photographing. Of course you’ll need to move your feet and zoom in to get as close as you can. When you can’t get any closer or zoom in any further, bring up the bottom edge of your photo. This doesn’t actually bring you any closer, but it makes you feel closer. On this particular trip to Vienna I visited St. Stephen’s three different times. 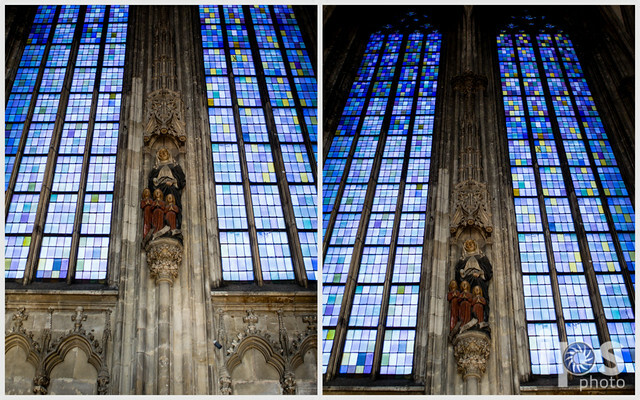 Each time the light was coming through different windows at different angles. As a tourist, I don’t have to photography any particular thing (as opposed to a professional under contract), so instead of fighting to make dark subjects light, or subjects in drab lighting look interesting, I photograph things that are already in interesting light. If there are particular things inside the cathedral that you are interested in photographing, schedule your visit so that you are there when the light makes them look their best. As a visual artist, these were some of the things that I could make the most compelling. 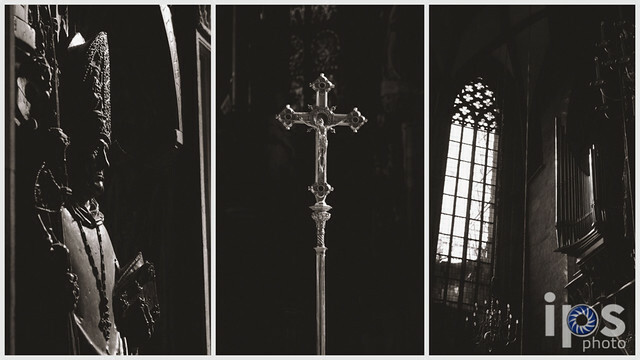 I didn’t go into the cathedral with the specific intent to photograph these elements – they just had great lighting! Have any other good tips for photographing cathedrals? Leave me a comment below! Memory cards are one of those things that you only notice when they aren’t working right. I don’t think about mine until all of a sudden I’m out of space and have to swap to cards. Every now and then though, you’re going to need to buy new memory cards, and if you do enough thinking about it then, they will serve you well for a long time. A quick search for “memory card” on Amazon.com brings up 841,094 results – here’s what you need to know to choose the right one. You’ll never be able to tell what memory card was used to record an image… so what difference do they make? Today’s memory cards come in 2 common formats: Compact Flash (CF) and Secure Digital (SD). You don’t have a choice between these, just use the kind your camera is built for. Compact Flash cards are bigger and more square, Secure Digital cards are more rectangular with a notch cut out of them. This is the only thing most people think about when they get a new memory card – how much data in can hold. Current card capacities range from 4GB to 128GB. The capacity determines how many pictures can be stored on the card before it will need to be downloaded. The number of photos will depend on the megapixel rating and quality settings of your camera. Suffice to say, bigger is better. In addition to capacity, memory cards are rated by speed. The faster the card is the quicker your camera can store the picture and be able to take another one and the faster the card will download to your computer. Speed is also very important when shooting video. If your card cannot keep up with the amount of data your camera is capturing the camera will cut off the recording. Card speeds are reported by “Class” and speed. The higher the numbers, the faster the card. The Class number (4, 6, 8, 10, etc…) reports the MINIMUM sustained speed the card can handle. A Class 10 card guarantees that it can record video at 10MB/s or more at all times. The speed reporting, such as 80MB/s reports the maximum burst speed the card can handle in a pinch. Quality can be measured in terms of capacity or speed, but what I mean here is the quality of the manufacturing and parts that go into each card. Different brands have different ways of indicating their Professional and Consumer lines. Professional cards are rated for higher and lower operating temperatures, and usually have higher speeds than Consumer cards. They may also come with an extended warranty and even data recovery software. I shoot with Sandisk Extreme and ExtremePro cards. I have shot with other cards over the years, but I continue to come back to Sandisk for the quality and reliability of their Extreme line. They are more expensive, but the quality is worth it. I did have one of my 8GB Extreme III CF cards fail on me after 5 or 6 years of use. I sent it back to Sandisk and they replaced it under their lifetime guarantee. I also like that these cards come with data recovery software for those times when something is accidentally deleted. Leave me a comment to let me know what you shoot with or any questions you have! This Ted Talk is crazy awesome. Watch it!